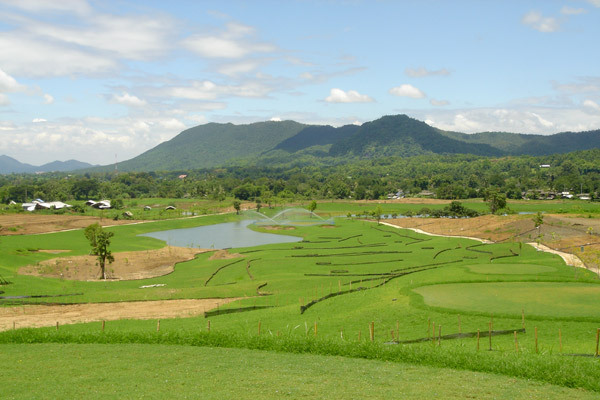 Why Chiangmai Highlands Golf & Spa Resort is special ? One thousand feet above sea level in the mountainous northern region of Thailand, Chiang Mai Highlands Golf & Spa Resort is a breath of fresh air – literally. The atmosphere is cooler and crisper than in any other part of the country. The reservoir-fed course is invigorating, too. Credit goes to Mother Nature and the design team of Schmidt Curley, which elected not to impinge on the land and instead let the natural contours of the hilly property dictate each hole. 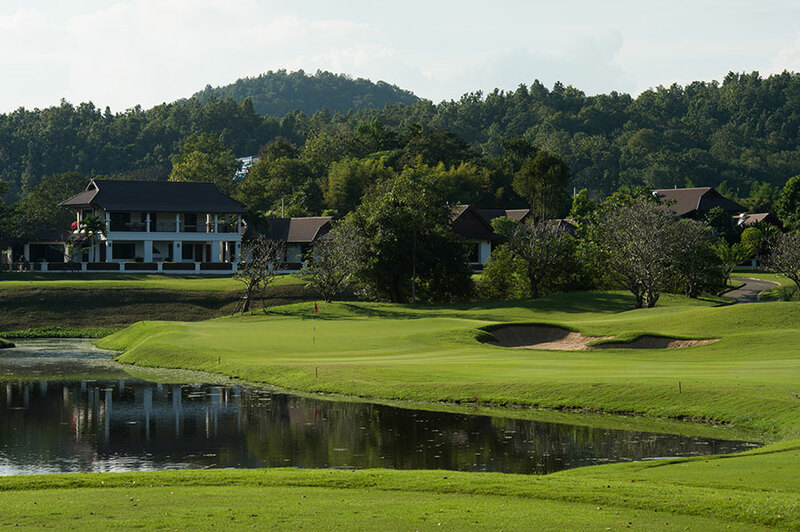 What to explore at Chiangmai Highlands Golf & Spa Resort? The large and undulating greens are not easy to play, especially since they are protected by massive bunker complexes. Bunkers and water hazards provide the distinctive note of this course and require a strategic game. In fact, the course features are over 100 fairway and greenside bunkers. A nice clubhouse with pleasant atmosphere and all facilities provides relaxation before or after the golf round. Chiang Mai Highlands has a superbly maintained practice facility including several practice greens, a short game area and a 300 yard driving range with a grass tees. 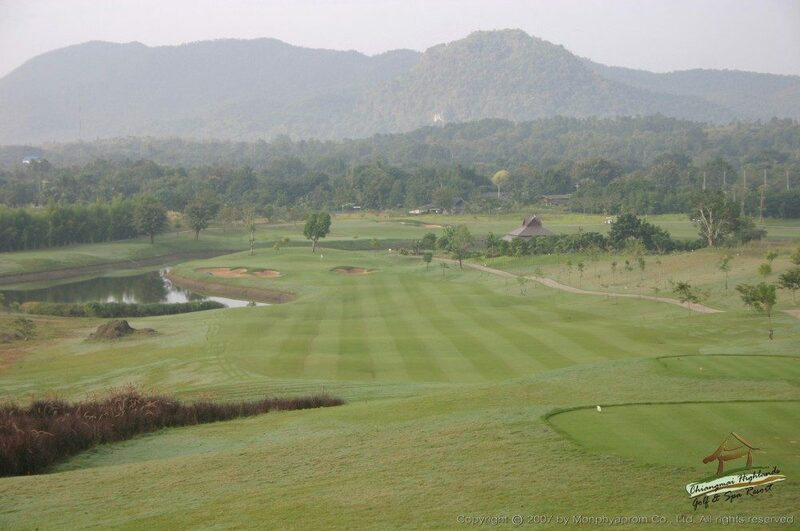 Chiang Mai Highlands is one of the best courses in Thailand and a must play as part of any Chiang Mai golf holiday. Me and my wife went there to play 2 rounds and stayed for 2 nights at the villa.The GoodThe golf course is very well maintained, not as tough as expected but we had fun.The caddies are very friendly...unlike those in Bangkok courses.The restaurant food is amazing, everything on menu is good! We had 3 meals a day for 2 days, so we tried everything on the menu.Very good value for money, as we paid for the package deal with airport pickup, 2 rounds, 2 nights.Must try their Spa...very professional and relaxing.BadClub house facilities are a outdated and wore out.The villa is a bit old but comfortable.UglyThe course overbooked for two days and the course marshall didn't do anything to speed up the Korean and Japanese players who took forever in every shot in front of us. We had 2 rounds of 6 hours...luckily we had nowhere to go afterward anyway. But I lost my tempo for waiting avg. 10 min to take a shot.I will only recommend golfer to come during the low season. No point getting stuck in the traffic on the course like that. we were 10 golfers and we played this course 3 times……a very good tough course……still damp from all the rain they have had. the course was in good condition….golf carts are only average with no windscreens and no wet weather protection for your clubs….no towels were available for hire…..most of our caddies were very good…..( ask for no 172 ) excellent …….would not want to play there in the rain……..
WE stayed here for two nights on a stay and play package. The accomodation is very nice, the food in the restaurant really good and my wife loved the spa. The golf course must be one of the very best in Thailand. Everything about this place is first class. I and my wife went there to play 2 rounds and stayed for 2 nights at the villa. The Good The golf course is very well maintained, not as tough as expected but we had fun. The caddies are very friendly...unlike those in Bangkok courses. The restaurant food is amazing, everything on menu is good! We had 3 meals a day for 2 days, so we tried everything on the menu. Very good value for money, as we paid for the package deal with airport pickup, 2 rounds, 2 nights. Must try their Spa...very professional and relaxing. Bad Club house facilities are a outdated and wore out. The villa is a bit old but comfortable. Ugly The course overbooked for two days and the course marshall didn't do anything to speed up the Korean and Japanese players who took forever in every shot in front of us. We had 2 rounds of 6 hours...luckily we had nowhere to go afterward anyway. But I lost my tempo for waiting avg. 10 min to take a shot. I will only recommend golfer to come during the low season. No point getting stuck in the traffic on the course like that.